Congratulations to Mrs. Tina Greenlee for being selected as one of Dyer County High School’s Teachers of the Year. 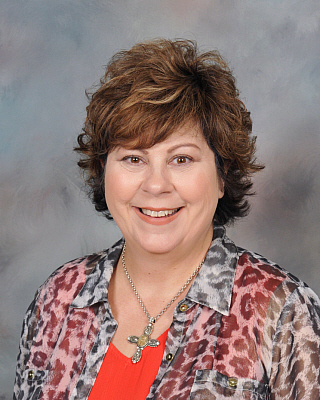 Mrs. Greenlee teaches English I Honors, English II Honors, English III Honors, and AP Language and Composition. She graduated from Union University with a Bachelor's degree in English with minors in Secondary Education and Music and later graduated from Union University with a Master’s degree in Education with an added endorsement in Special Education. This is her 17th year teaching for Dyer County Schools and her 30th year working in education. In Mrs. Greenlee’s years at DCHS, she has held many leadership positions: teacher mentor, member of the school’s leadership committee, member of the district’s curriculum review committee, participant in the district’s teacher leader academy, and English department chairperson. Mrs. Greenlee has also served on the state’s assessment committee reviewing and approving passages, evaluating and correcting test questions, and writing test questions for subsequent English end-of-course exams. Also, Mrs. Greenlee served across the state as a common core coach training teachers about the changes in TN standards. This is the 4th year that Mrs. Greenlee has been selected Teacher of the Year. In 2016 she advanced to Regional Teacher of the Year earning a position in the top 10 teachers for the state.